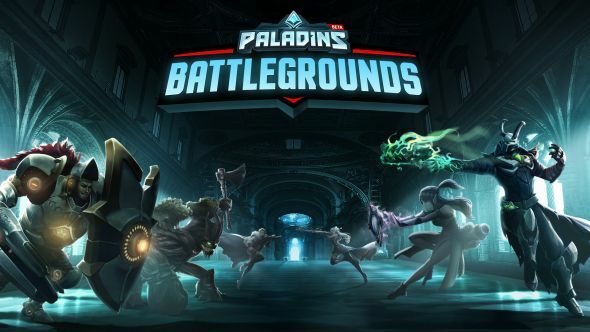 This article was first published based on early impressions of Paladins: Battlegrounds, which has now been renamed and released as Realm Royale. 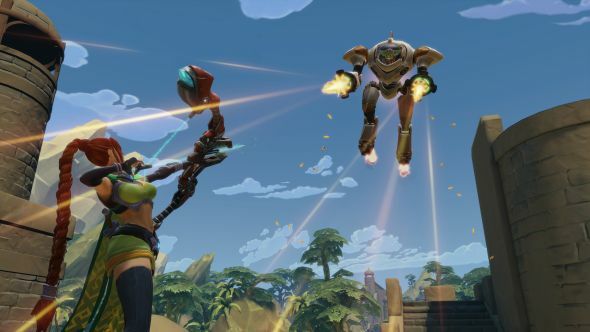 The content of the article has been edited to include the game’s new title, although several gameplay features have changed in the course of Realm Royale’s development. After the breakout success of both PlayerUnknown’s Battlegrounds and Fortnite Battle Royale in 2017, we can expect to see a glut of other major studios develop their own takes on the battle royale genre in 2018. Hi-Rez Studios have left it just four days into the new year to announce their own free-to-play battle royale, Realm Royale. An extremely early alpha build is available to play at this year’s Hi-Rez Expo in Atlanta. Any build that young is going to have some teething problems, but even in its early state, Realm Royale is already showcasing a unique, teamwork-focused twist on the genre. 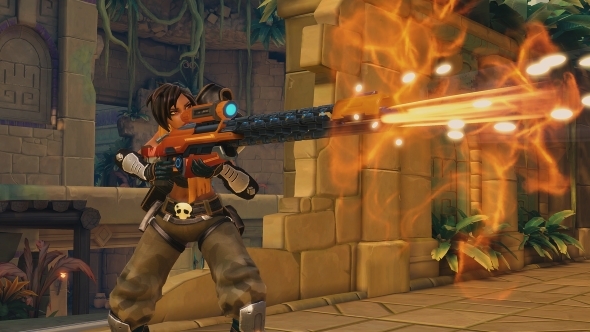 Paladins found fame as a hero shooter, but what are the best multiplayer games on PC? Much of Realm Royale is familiar if you know anything about battle royales. A hundred characters drop onto an island, in teams of four, and the last team standing wins. To encourage action-packed matches, a wall of deadly fog continually rolls in from the edges of the map, condensing the play area over time. Players move around the map looting chests to gather items to make them stronger, or chasing down powerful supply drops from zeppelins that occasionally make their way across the map. If two teams come across each other, fights break out and the team that comes out on top claim the spoils of their fallen foes. But Realm Royale differs from the standard formula in two ways. The first is that every player is a character from Hi-Rez’s hero-shooter Paladins, with their own abilities and unique weapons. The second is that Paladins as a whole has been built from the ground up to be played as a team game. There is no solo game mode at this point in development. The impact these changes have is two-fold. The first effect it has is to make team composition a concern. Whereas games of PUBG can often be won or lost on the basis of firepower, Realm Royale offers a selection of eight randomly-selected champions to choose from at the beginning of every match, with two heroes from each designated role available. Just as in a typical game of Paladins, a winning team will need a good cross-section of roles to succeed – too many DPS champions will allow opposing supports and tanks to soak up your offence, but have too little damage output across your team and you will not be able to hold your own in a fight. The second impact of those tweaks Hi-Rez have made to the battle royale formula is that teamwork is central, in a way even Squad modes in other games do not capture. A lone gunner in PUBG can still have an effect if they break off from the rest of the team, but in Realm Royale, striking out on your own is a death sentence. In one game I played, one of my allies was looting on the far side of a settlement from the rest of our team, which is when an enemy team descended on them. Without the firepower to fight back against a squad, or their own team to offer support, my ally was killed quickly despite being only just out of our sight. With only three players left, we were disadvantaged for the rest of the match – a state of affairs which highlights how important team communication and interaction is, even at this early stage of development. Also carrying over from the default Paladins experience are mounts, which allow you to move around the world much faster than you can on foot. That means you are not completely screwed if you find yourself in a tight spot on the wrong side of the map, as you can simply mount up and gallop to safety. This will come in handy if the deadly fog catches up to you, and you need to move away quickly, – though I did find the fog to be quite forgiving in both matches I played. The speed at which you can move around the map also means that games are fast-paced, as you spend less time journeying and more time fighting and looting. If you are hit by an enemy player you are automatically dismounted, allowing for alarmingly quick but often deadly skirmishes. With Realm Royale being in such an early stage of development there are a few things missing at this point. The map is pretty barren, largely devoid of scenery outside of the settlements, which are also very simple. All of the ones I saw looked like basic wooden forts dropped onto the landscape, with little to differentiate one from another apart from a bit of set-dressing. Some of them had a verticality that could make them good spots for fights to break out, but they are not particularly defensible, and as such there is little tactical benefit to staying in one spot after you have gathered up all of its loot. The upshot of this is that the game feels a little superficial in its current state. Despite everything that carries over from the main game, Realm Royale does not feel like it has been made to cater solely to pre-existing fans. In the trial-and-error setting of a battle royale, it is easy to learn how to play champions without being punished by the complex meta and high skill ceiling of a hero-shooter. The game is also instantly accessible if you have played either PUBG or Fortnite, but also manages to bring something new to the genre. Having been built from the ground up to be played with teams means that Paladins: Battlegrounds has a selling point that its peers in the genre do not. It is an accessible battle royale that emphasises teamwork and provides a role for different types of players, meaning not everyone needs to be an ace shot with sniper rifle or a savvy camper to get a victory.